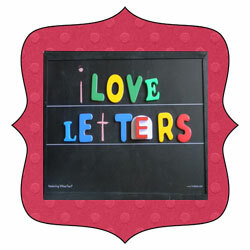 Not only do I love letters, I love alphabet books. Some favorites that I have mentioned in the past are Chicka Chicka Boom Boom, The Sleepy Little Alphabet, LMNO Peas. Today I want to give you a heads up on a newly released alphabet book. 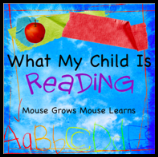 This is a cute alphabet book that we reviewed as a ebook. Francisco's Fabulous Friends by Taco Matthews The theme of this alphabet book is animals. Each letter is related to one animal with the corresponding initial letter sound. The animal is introduced by the name of the animal, a proper name, and an adjective to describe the animal. Alliteration is incorporated. Those word lists are then used in a sentence. We enjoyed reading this Alphabet book. I enjoyed the choice of animals in this book. Instead of alligator, bear, cat, dog...you know, the usual, this book included everything from the traditional bear and cat to the more rare quetzal and xerus. I also enjoyed that the proper names given to the animals provided cultural diversity (without being crazy hard to pronounce). One thing I didn't like about the book was that the sentences provided after the word list seemed contrived. I almost felt the book would have had a better flow if the author had only included the letters and word lists. This could be a great book to use with students of all ages. It could be a wonderful way to teach parts of speech and vocabulary or a fun way to teach a beginner the letters of the alphabet. Logan (age 3) is a beginner learning his letters. After reading our alphabet books this week, I created a way for him to experience the alphabet in a tactile way. Sandpaper letters are a trick most teachers already have in their teacher bag of tricks. 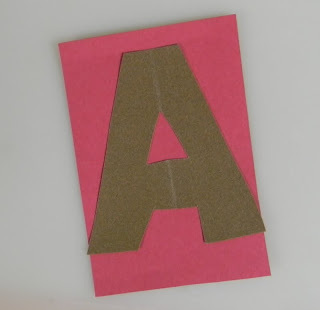 However, after talking to several friends lately, I realized many parents aren't aware of the awesomeness of sandpaper letters. If your house is like mine, we have sandpaper. We have rough, fine, gritty... all the kinds of sandpaper. The scraps we have sitting around are not big enough to fit on our little palm sander, but they'll work great or creating a set of tactile sandpaper letters. 1. I used a precut letter from a package that I bought at Target. Any precut letter will do. 2. I flipped it over and traced it on the back of the sandpaper. 3. I cut it out and I glued it to a piece of construction paper. Now the boys can practice tracing the path of the letter. Legal Disclaimer: I was provided a free copy of this book by the publisher in exchange for my frank and honest opinion. No other compensation was provided. I love it- it looks so simple and easy to make! 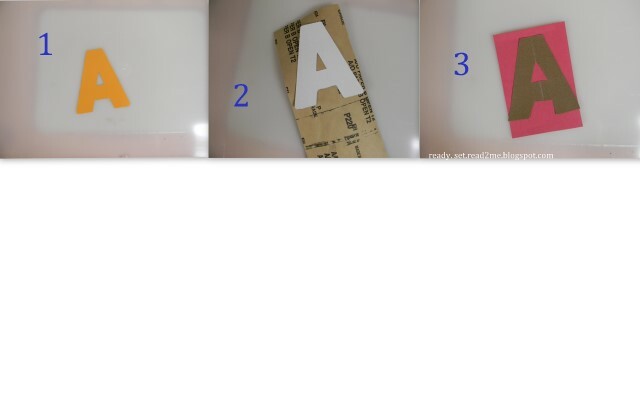 We bought sandpaper letters already but I may try these for sandpaper numbers. We are great fans of sandpaper letters here. This will be very helpful for DIY people.Thank you so much for linking up to Book Sharing Monday.